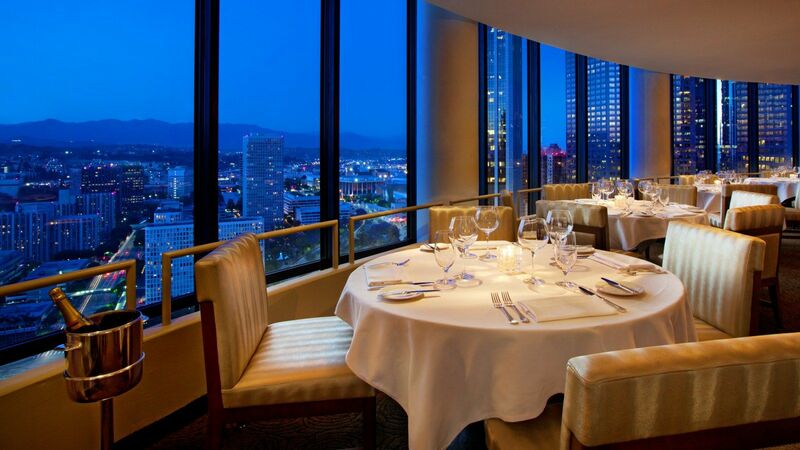 Located on the 35th floor of The Westin Bonaventure Hotel & Suites our award-winning restaurant invites you to experience a culinary adventure in a relaxed atmosphere of refined service. LA Prime is known for its innovative and edgy cuisine and provides the ultimate in dining. Executive Chef Raymond Nicasio has created a masterful menu utilizing only fresh ingredients in combination with an artist eye to please your palate. As you dine a million lights will stretch out at your feet or wink at you from the sky as you sit back, relax and enjoy all that downtown Los Angeles has to offer. LA Prime is located inside the Westin Bonaventure Hotel at 404 S Figueroa St. For your best route, use the Trip Planner.